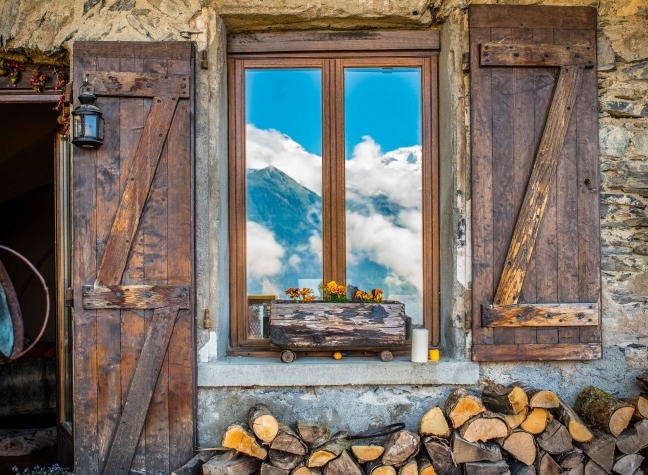 Our 200 year old mountainside guesthouse is huddled amongst seven other houses in the picturesque hamlet of Le Ribot d’Huez, a 10 minute drive from the resort of Alpe d’Huez and only 8 minutes drive from Bourg d’Oisans. 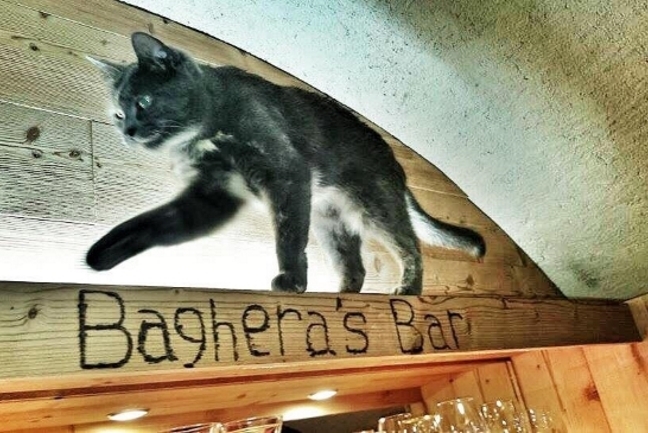 We are a catered chalet during summer & winter and also offer bed & breakfast. 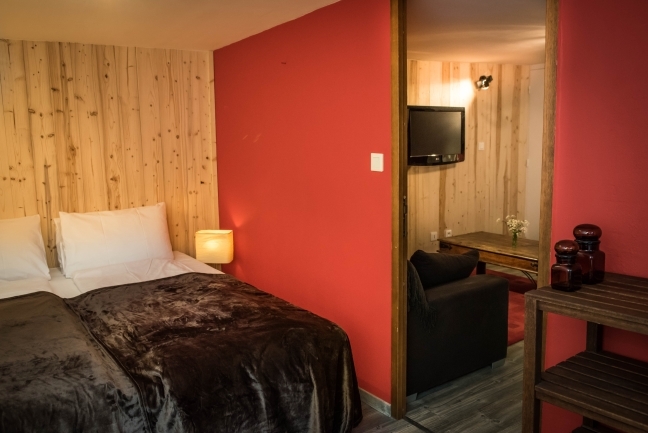 Our location offers tranquil accommodation just a stone’s throw away from the hustle and bustle of the cosmopolitan resort of Alpe d’Huez. 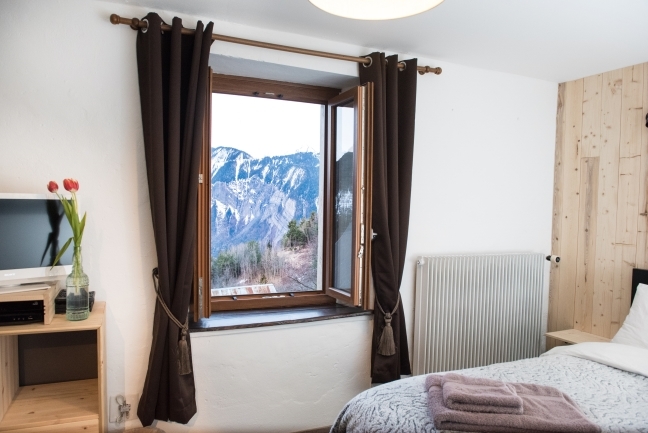 Chalet Ribot is at an elevation of 1250 meters, surrounded by pine forests and overlooking the valley of Bourg d’Oisans. The views from the chalet are truly awe inspiring. 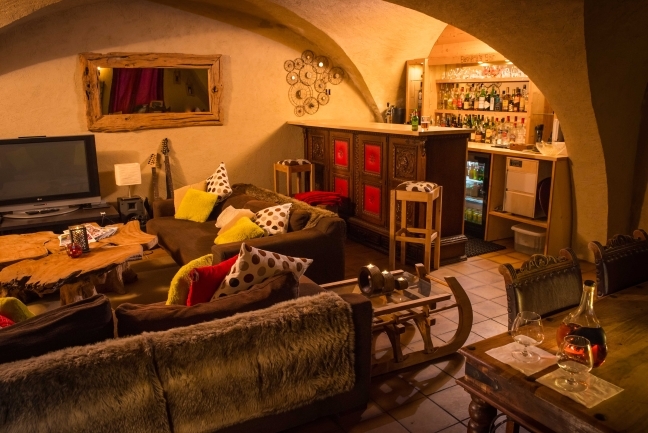 The chalet boasts a magnificent communal lounge which has its original vaulted ceiling, log fire and spectacular south facing views overlooking the valley and the surrounding mountain range. Breakfast and evening meals are served in the lounge, where our banqueting style table offers the perfect opportunity to catch up with friends and discuss your day’s adventures. All of our meals are cooked with fresh, locally sourced ingredients. 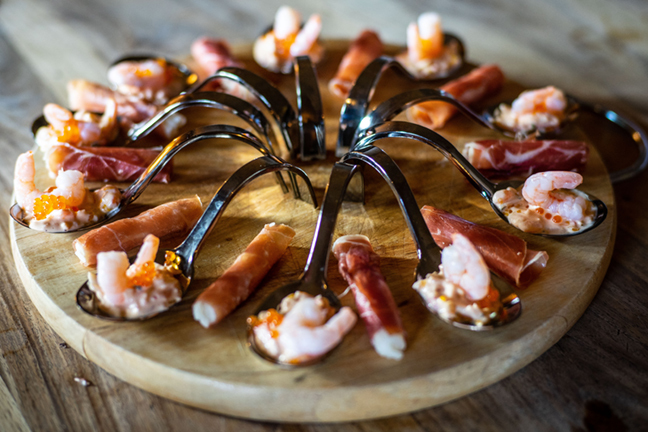 Combining classic recipes with traditional mountain fare and European flare. 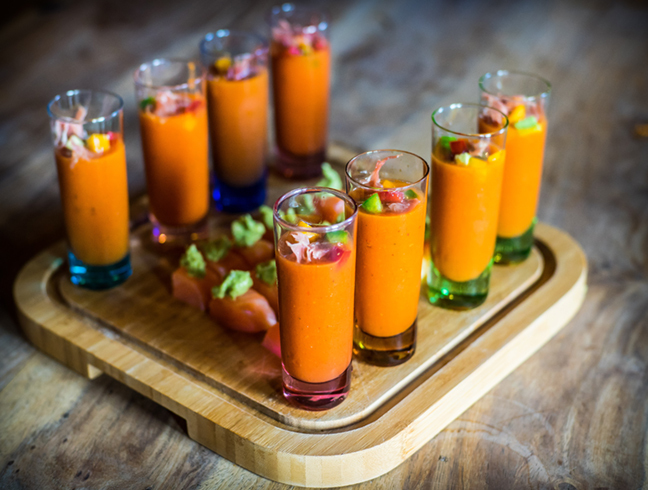 We serve evening meals 6 nights a week, allowing us a night off and allowing our catered guests a chance to visit one of the local restaurants. 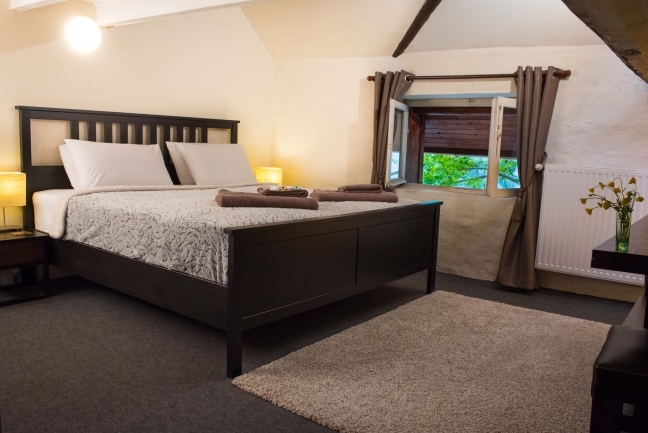 If your stay coincides with our night off you will only be billed our bed & breakfast rate for that evening. 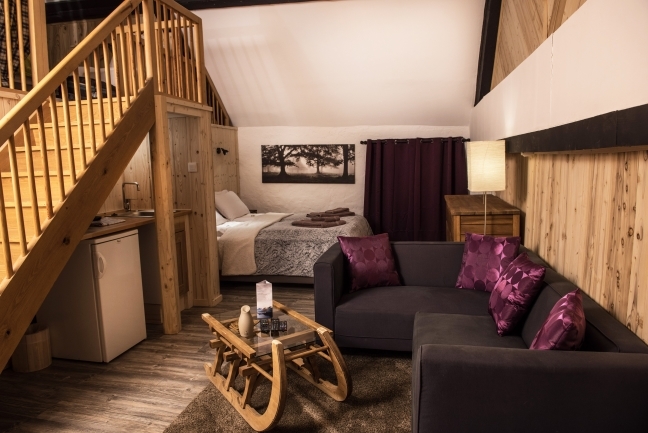 Our rates are ‘per person, per night’, as each of our suites are unique in size & style and can accommodate between two to six people. 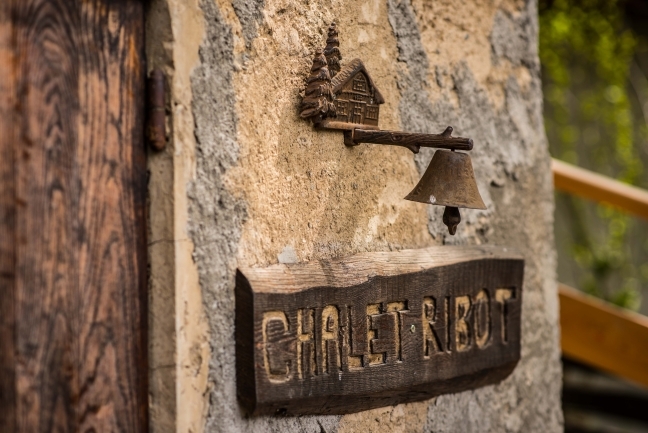 Chalet Ribot welcomes groups of all sizes. 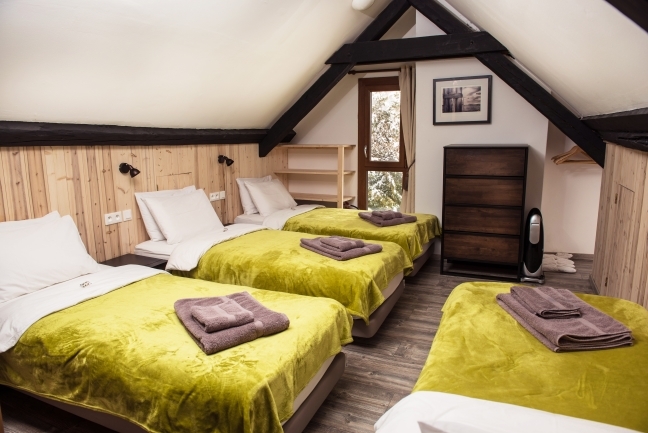 The chalet can sleep a maximum of 15 people if you wish to book us exclusively. Contact us for our exclusive booking details and rates. Children under twelve are offered a 20% discount. 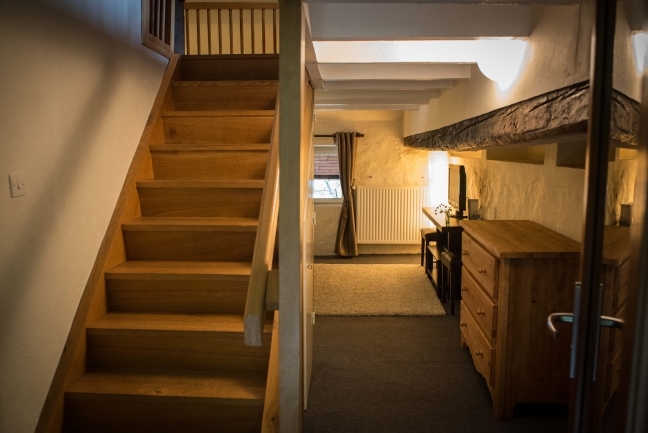 Chalet Ribot offers a flexible changeover day policy, providing our guests with the opportunity to avoid Saturday traffic and to profit from the more reasonably priced mid-week flights. 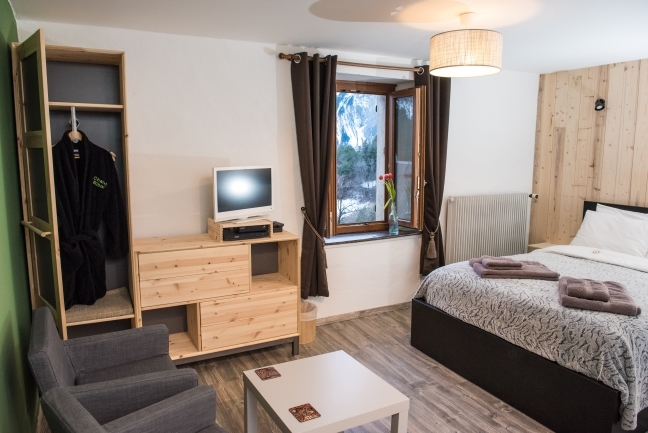 Chalet Ribot is less than an hours drive by bus or car from Grenoble city centre.